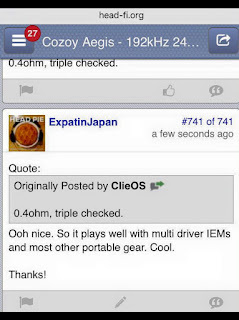 Cozoy Aegis review - expatinjapan. The Cozoy Aegis is one of the many recent releases by Cozoy in the last few years. 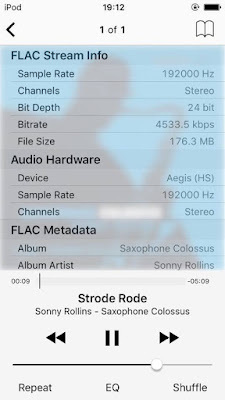 They seem to be making their way nicely in the audio world as a new company, releasing several products that have been greeted favorably by users on various forums. Lets get the basics out of the way before we move onto the part you are actually going to read properly - the sound. There are many unboxing videos on youtube and whilst Head pie hasn`t joined their ranks...yet, it is one of the attractive parts of purchasing a new product and the Cozoy aegis doesn`t disappoint in this area. Although it does come in a small package, the box is an elegant container for what lies inside. The Cozoy Aegis is snuggled nicely within a black foam casing with the Aegis easily removed by way of a sliver of ribbon, which when removed reveals another layer wherein we discover three sets of cables (lightning, micro usb - micro usb, micro usb - usb) which enables us to use the Cozoy Aegis with idevices via lightning cable, Android and PC/Mac. All in all it is a beautiful solution without wasted space or excessive and unnecessary bloated packaging which has become the norm for some audio products. The build of the Cozoy Aegis is solid. Can you say seamless. Yes, it is! It is gorgeous to look at. Machined aluminum that is somehow fitted so one cannot discover how it is spliced together. It`s also nice and light. As the writers of various forums mention when talking of the Cozoy Aegis they often say `size isn`t everything` and the Cozoy aegis certainly fits the bill within the ranks of other contenders for style and grace within a small package. No more stacking up your device with one, two.....levels. 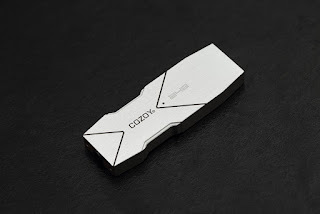 The plug and play of the Cozoy Aegis is easily done and doesn`t interfere or get in the way whilst on my daily commute. I did give feedback before receiving the device that I did think a shorter lightning cable would be better, but so far that thought hasn`t entered my head now I actually have the product. Maybe we`ll just skip this part to annoy the reader now you have been patiently waiting so long for this particular part.......but no, at Head pie we aren`t that sadistic. Pies for everyone! The Sound! The sound! The sound! The angels cymbals chime like heaven is close by and cherubs are softly whispering in ones ears. Oops, getting too overwrought, let`s back track to reviewer mode and not literary masterpiece mode. The Cozoy Aegis whilst small in stature certainly punches above its weight. I have paired it with the ATH-CK10 on my daily train commute and find it to be non-fatiguing for lengths of time, which is one point I look for in additional portable DAC/Amp devices. 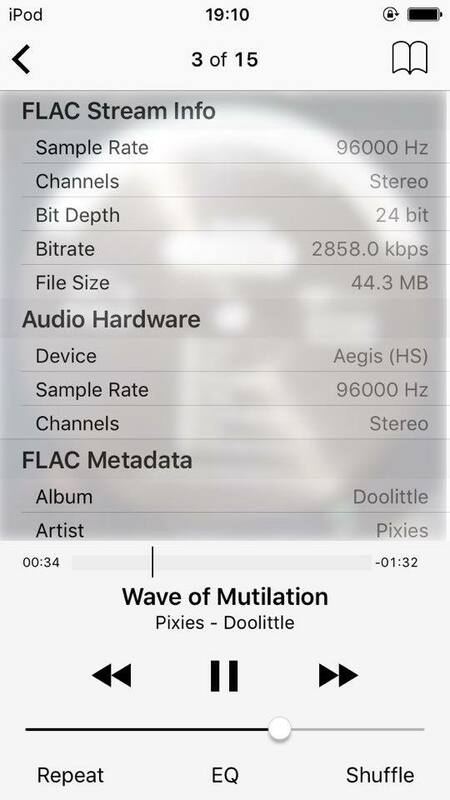 I paired the Cozoy Aegis with an ipod Touch 6G 128GB which its self is no slouch in the sound department, Apple seemingly learning more with each release. For review and testing purposes I paired the ipod touch 6G headphone out, Centrance Hifi-M8, ATH-ESW11, and DITA-The Truth. The apps I used were Relisten, Flacplayer and Kaisertone. The ipod touch 6G headphone is very clean and has a nice balance to it, certainly it is an improvement over its predecessors which I also owned. One factor the Cozoy Aegis has over the touch 6G is certainly the non fatiguing factor which can`t be dismissed as a minor point. Does it sound better than the ipod touch 6G headphone out? Yes, it does. For the size factor it certainly does a great job, it cleans up the signal and increases separation of instruments. Cozoy when pitted against the larger and more ferocious Centrance Hifi-M8 seems to hold its own quite surprisingly. Of course the Centrance Hifi-M8 comes out on top, but not by leaps and bounds (I look forward to trying the Centrance Hifi Skyn when it arrives - soon). Remembering to remind ourselves at this part of the game we dealing in incremental improvements, but improvements none the less! 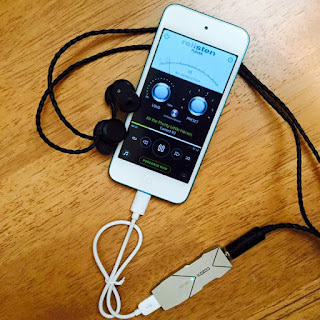 The Centrance Hifi-M8 Has a bit more low end, more separation - but not significantly so. The power and muscle of the device batters down most contenders anyway. But does the Cozoy perform well when pitted against the beast of the west? Yes, I expected to hear much more difference between the two. Whilst not surprisingly the Hifi-M8 comes out on top - the gap between them is not so large. Listening now with DITA-The Truth I am certainly struck by the beauty of this device. It does what the buyer pays for. It improves upon using just the source, irons out any irritating noise and is clear with an un-colored sound signature. Gitouttahere! Well yes. it does it seems. Apple seems to have allowed this feature to be unlocked on several devices i have tried recently. The Cozoy Aegis also packs a lot of power, volume control has been an issue for some, finding that sweet spot as the volume is controlled by the source and not the Aegis (which has no buttons). I found using music apps useful in this regards. Either decreasing the gain (Flacplayer and Kaiser tone). 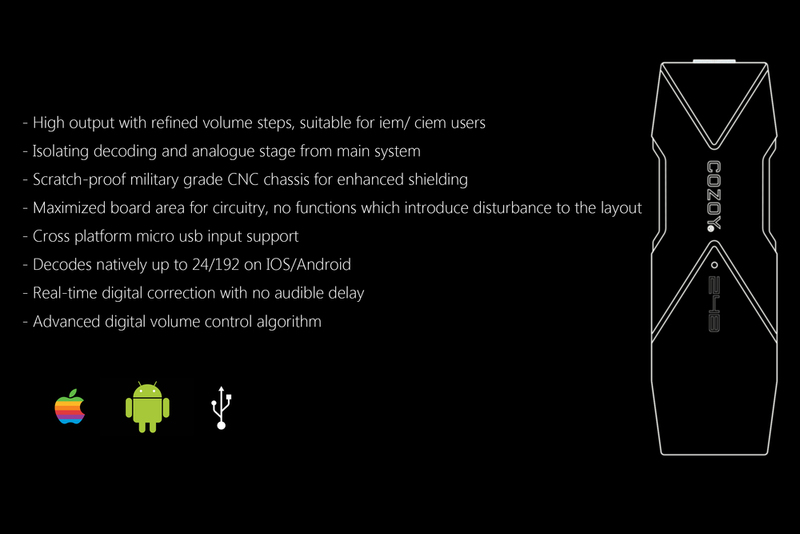 Or using Relisten which has an incremental volume control with lots of room for adjustments. I did not find there to be a significant drain on the battery when in use, but of course it does use the sources battery so there is that. I do believe Brooko on head-fi tested the battery drain. 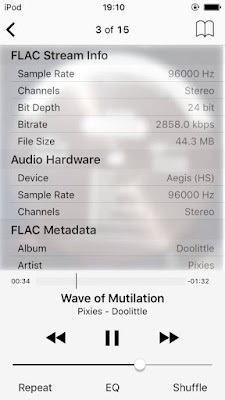 0.4ohms as measured by ClieOS on head-fi. If one is looking for a device that is certainly portable and not transportable I do recommend the Cozoy Aegis. It does what it advertises - which is improves upon the sound from most sources. Does it make the rain come when there is a drought?, well no - let`s keep it realistic here. If one has decent music files of a quality nature and also mid to high end IEMs, or headphones one will find this to be a satisfying purchase. 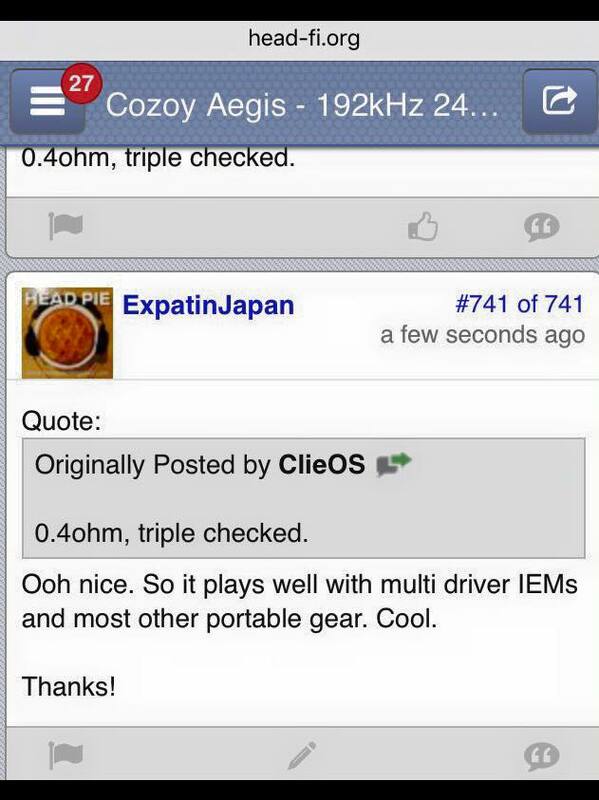 Thanks to Cozoy for providing an Aegis for me to sample and review. Beside the Aegis on this page, What is other great portable dac in this budget range ? 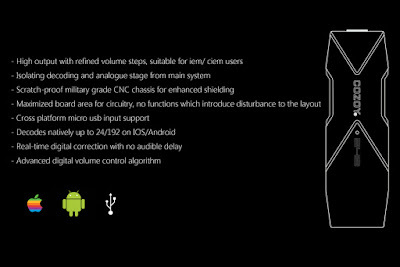 Onkyo HA200, vmoda Verza, Oppo HA-2, Centrance Hifi-Skyn, the new Fiio K1 maybe. If you go for a used product you have more options.